The Duchess of Cambridge visited King Henry’s Walk Garden in Mildmay, Islington today and participated in an outdoor learning session with national award-winning outdoor learning charity The Garden Classroom (TGC). 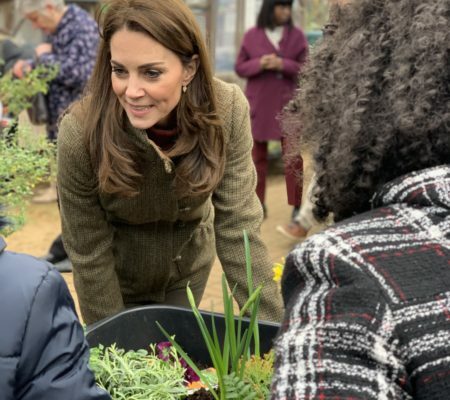 The visit was organised by the Royal Horticultural Society who announced that the Duchess will be c0-designing an RHS ‘Back to Nature Garden’ at Chelsea Flower Show this year sponsored by M&G. Her Royal Highness visited King Henry’s Walk Garden and spoke to garden volunteers and members of The Garden Classroom team and took part in a nature session with the children from nearby St Jude and St Paul’s Primary School. The visit highlighted The Duchess’s passion for nature and the outdoors and as a mother of three young children she is keen to encourage a love of the natural world. King Henry’s Walk Garden has been run for over a decade by community volunteers, it contains growing plots for cultivation by local residents, where the use of organic gardening methods helps to promote a diversity of plants and wildlife. Events engage the whole community and increase community cohesion. A full programme of high quality nature education sessions is delivered by The Garden Classroom at King Henry’s Walk Garden to primary school children with 1500-2000 children and young people benefiting at this one site each year. The Garden Classroom now operates across the borough of Islington in many greenspace sites and last year its high quality nature connection activities benefited over 8000 children and young people across the borough. Since 2008 62,000 people have participated in TGC’s activities. The Garden Classroom was founded ten years ago at King Henry’s Walk Garden in response to the need for urban children and families to experience the outdoors and connect with nature. This provision is particularly vital in Islington, the borough with the smallest amount of open access green space in England . Its model is an innovative example of how small green spaces can be used to provide transformative nature engagement experiences for children, young people and adults in cities. The Garden Classroom believes that a minimum of one half day spent learning in a natural environment during school time could significantly improve the mental health and wellbeing of inner city primary school children, and is keen to foster a movement for change towards a vision for regular outdoor nature learning, which is supported by numerous studies. To mark its tenth anniversary, this year The Garden Classroom is offering an ‘Every Child a Nature Lover’ outdoor learning experience to every Year 5 class in Islington along and a copy of Robert Macfarlane’s wonderful book ‘Lost Words’. 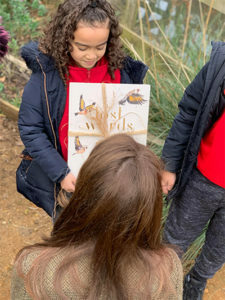 St Jude & St Paul’s primary school year 3 children Kyrah Symister (age 7) gave The Duchess a copy of ‘The Lost Words’ by Robert Macfarlane as a gift from The Garden Classroom and Ayaan Ahmed (age 8) presented a jar of honey from King Henry’s Walk Garden. Edwina Dickinson (age 8) who made bird feeders in Docwras Wood also presented the Duchess with the bird feeder which she had started and Edwina finished. The Duchess said she would put it in her garden. Founded in 2008, the Garden Classroom is a registered charity and non-profit organisation that provides urban children and adults with transformative outdoor experiences devised to encourage active lifestyles, promote self discovery, inspire growth and stimulate respect for nature. 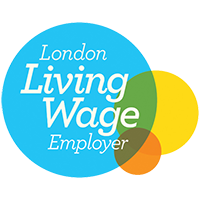 TGC provides cross-curricular outdoor learning programmes in 16 parks and gardens in Islington as well as a growing programme of day visits and residential experiences in Kent. In the last year alone, 8640 children benefited from education sessions with TGC and to date over 62,000 people have benefited from TGC’s service. It has won many awards including a national award for Innovation from the Council for Learning Outside the Classroom. TGC has many photos with full clearance available regarding children learning in natural environments (i.e. Joe Swift, children in nature, children camping etc). For photographs or further information please contact Marnie Rose c/o info@thgardenclassroom.org.uk or call 020 7288 0188 or 07974 353148. Photographs of today’s event can be accessed through the RHS’s press office.